You will be pleased to hear that I remembered to colect my DVD of Downfall when I visited my Dad yesterday, so I now have it available for you to borrow and enjoy. German language with English subtitles. We’ve watched a clip in class already, but here’s the official trailer. 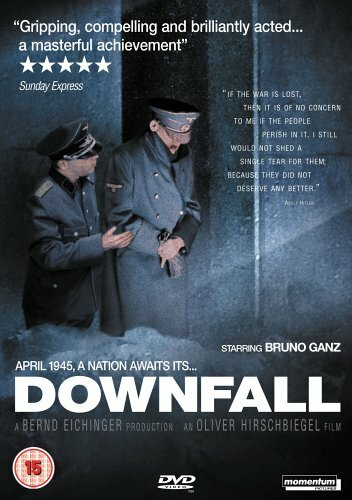 STOP PRESS – Downfall was aired on free TV on BBC 2 on Sunday evening so is currently available on the i-player. Just to let you know that Downfall was on BBC 2 last night, so anyone who wants to watch it should be able catch it on iPlayer. I spotted it too and watched a little. Hope you enjoyed it.